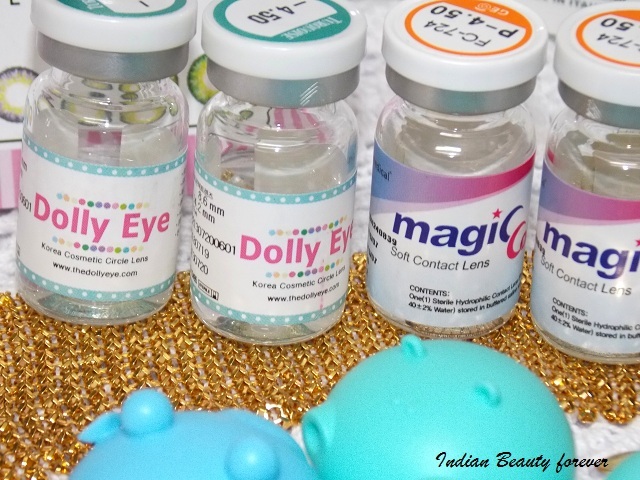 I will review my second pair of contact lenses that I got from lensvillage.com a couple of weeks ago. These are from Magic colors. Now, I am not that crazy for contact lenses, but my myopia forces me to use them. I have always been inclined towards grey, green, hazel etc but very few browns. This is the reason why, I got this pair for myself in brown. And also, there are a couple of you who would like to go for subtle colors so, may be this can help them choose better. About the product: The black rim Geo Fresh lens fits your eyes perfectly making them look bigger and attractive. Available in two colors brown and grey, these lenses won’t tire your eyes. On the contrary they would keep them looking fresh throughout the day. With a 14mm diameter and 8.60mm base curve they snugly fit your eyes. At only $19.50 you can get the astonishing look for your eyes that you always wanted. 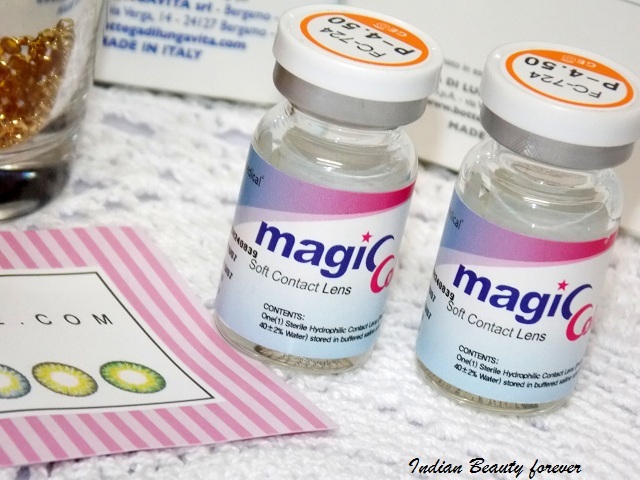 Experience: Just like most of the contact lenses, they too come in a sealed tiny cute glass bottle. I also got a pair of cute animal case along with this pair. These circle lenses are wider in diameter which is why they will provide an enlarging effect to the eyes as compared to the clear or contact lenses with normal diameter. These are the most natural looking lenses, according to me. Due to its dark brown color that will give just a tint on the eyes and nothing too obvious. Even if you’re in harsh day light then too they will not scream attention. 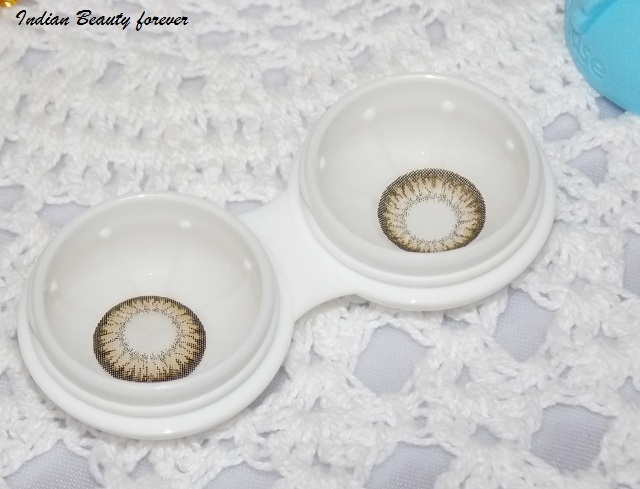 I have used it for an entire week and realized that they are very comfortable to wear, will not dry out the eyes . You can experience a clear, non tiring vision for around 10 hours which is good as compared with the Dolly Gothic 3 tone lenses, which were a bit drying at times. Rest for its life span, it says, it is one year though, that is something that time will tell, how long will they be give the same comfort? Having said that, I will recommend these to those you, who want just a tint with slightly bigger looking eyes but nothing too harsh then, this color and the brand is definitely for you. You can buy it from lensvillage.com. 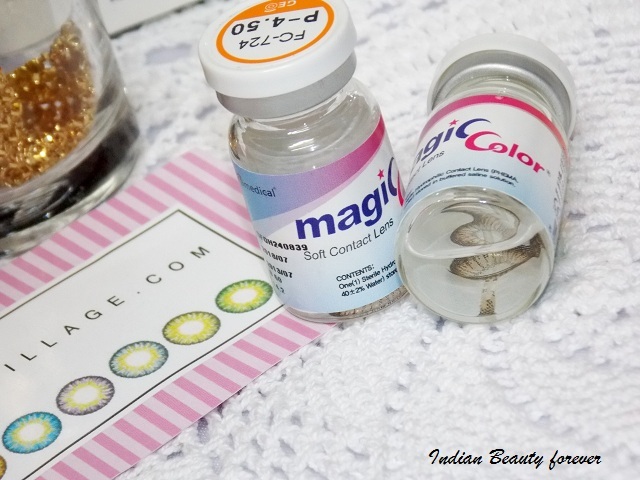 or if you are looking for a similar subtle color from the brands available in India then, you should go for Bausch & Lomb optima naturals in color "India". The shade India gives a subtle tint and will suit most of the skin tones. That was all from me, Enjoy your weekend!! PR sample though the review is honest! !